What To Know Before You Buy A Chandelier For Your House? If you are looking for a way to add panache to your house, installing chandeliers to your house is the right and better thing to do. The reason behind this is, chandeliers will enhance the beauty of any room in your house. They come in different shapes and sizes and you can place them anywhere you like depending the space. But, before you purchase the chandeliers for your house, you need to consider certain things to make a knowledgeable purchase. This is what we have discussed in this blog. Before purchasing your chandelier, you need to get a right chandelier frame that suits your room. Now, you may wonder, what’s in frame? The frame not only adds beauty to your crystal chandelier, but also your house. So, choose carefully and pick a chandelier frame with good finishing. The focal point of crystal chandeliers is the crystal. - Strass crystals and more. The swarovski spectra crystals: It is an alternate to the expensive strass crystals, which provide luxury at an affordable price. The regal crystals: They are traditional in terms of their design and use, which is cut by hand and designed through a process that is as old as the hills. The imperial crystals: This is highly sophisticated, which is cut and designed to precision by experts. The strass crystals: It is considered as the best in the world. They are absolutely flawless, but when it comes to the cost, it will break our budget. Depending on the look you want and the budget you consider, choose the right crystal chandelier that suits you. It is one of the major factor that you need to consider. 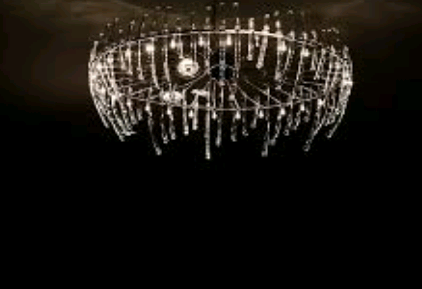 Firstly know, the size of the chandeliers that you need. This is because, if you place a large fixture in a small place or small fixture in a big place, it spoils the look of the house and gives an unpleasant look. So know the dimension of your room and purchase the chandelier based on that specific size. Choosing the right light fixtures for your house will be quite difficult, but if you follow these few tips and go for purchase at the right place, you can purchase the right chandeliers in a hassle free method. So, set aside an evening and make your purchase at a reputable Australian lighting store.